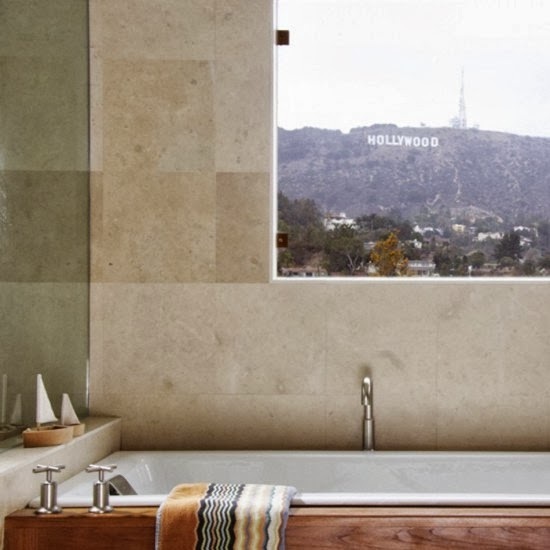 Wouldn't it be great to be able to see the Hollywood sign from your bathtub? To know that you are living in the heart of movie making magic. To lie there dreaming of your next role, maybe this one will be the one that you do your breakout performance, get nominated for an Oscar, have strangers quoting your lines back to you, or getting that star on the walk of fame, having your screenplay become the blockbuster of the summer....Ahhhh Hollywood!